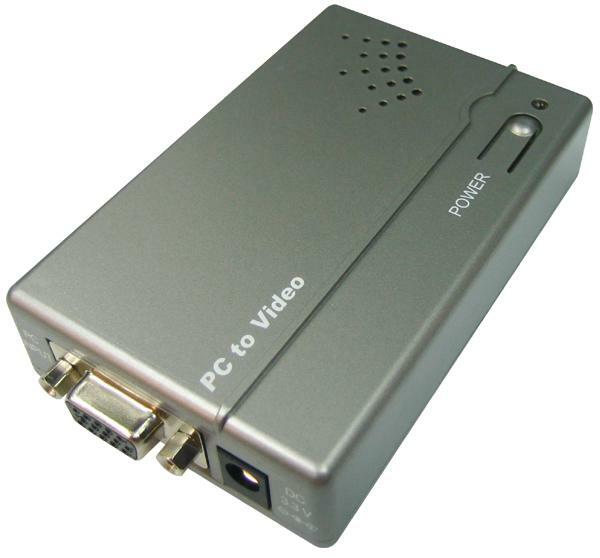 The CPT-385 PC to Video scan converter box is designed to convert a variety of computer images, from 640x480 up to 1600x1200, to interlaced NTSC or PAL video. It support output formats including composite and S-Video. It is ideal for use in applications like video conference, home theater, business presentation, lecturing room or viewing PC image on TV. • Automatically detects and down converts the incoming PC images to NTSC or PAL. • Supports high resolution PC input up to UXGA (1600x1200@60Hz). • Scale down PC video to Composite/S-Video. • Easy to install and simple to operate. • Easy to carry with palm size design.